Could VR & AR be making its way into the office? Sales of VR headsets are underwhelming and investment in the technology is in decline. One of the main challenges with VR adoption is encouraging digital sceptics, often in commissioning roles, to embrace the technology and avoid seeing it as a gimmick. VR seems to be most effective when it is used to solve a particular problem or address a specific issue. 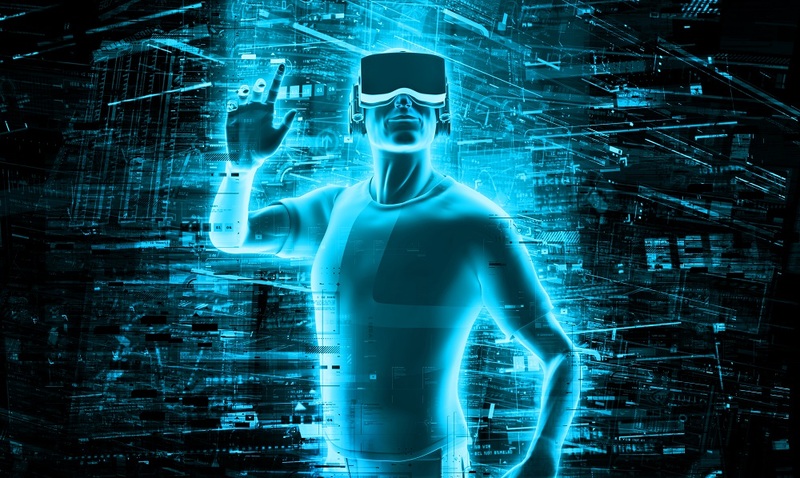 A report into VR adoption by Capgemini Research Institute reveals the businesses getting the most benefit from the technology are those who test the applicability of VR and focus on uses that provide lasting value, with 50% of companies still struggling to identify a use case. 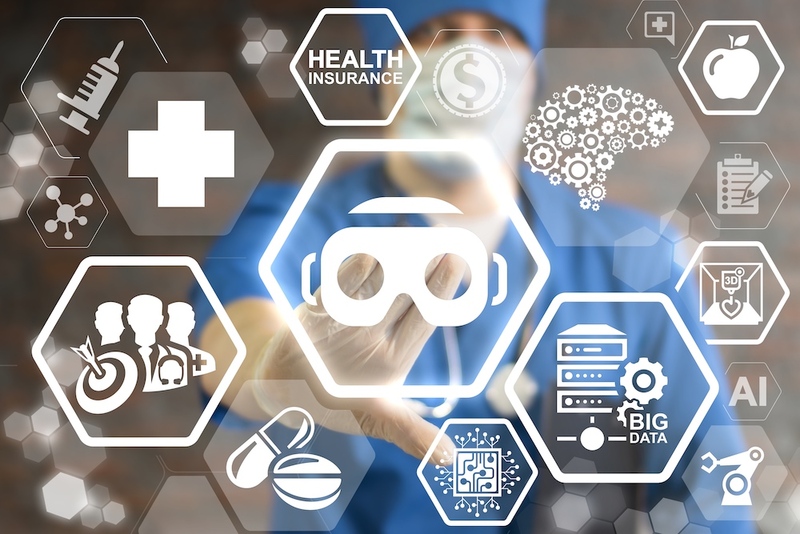 But despite a subdued outlook we shouldn’t ignore some interesting VR use cases that are now beginning to emerge, particularly in the field of training, which the technology is well suited to. One of the key benefits of VR in training is providing a realistic environment where trainees learn to use sophisticated tools, as well as deal with unexpected scenarios, without real risk. One example is Tyson Foods, which uses VR to train employees to safely use complex machinery, allowing them to practise and learn at their own pace before they ever enter the company’s physical plant. VR is great at letting users ‘walk in someone else’s shoes’. This is especially beneficial in training. The Moment’s VR HCP Interaction Lab is helping medical sales teams to better understand the interactions between Healthcare Professionals and patients and is providing a step change in training delivery whilst Stanford University researchers are working with the NFL using VR making employees ‘feel’ how colleagues experience racial and sexual discrimination. At Global we use a VR experience to deliver studio training to our radio presenters and producers. As well as providing studio inductions, the tech presents trainees with a series of real-life challenges – such as system failures, breaking news events and unplanned silences – so they can learn to react positively and quickly to keep the station live and on air. By using VR to create an environment where users can make mistakes and try again without real-life repercussions, we’ve seen operator errors in live broadcast decrease by a third. Another key benefit of VR as a training tool is its ability to deliver immersive, interactive experiences. VR-based training is more engaging than listening to a talk, reading a manual or watching a video demonstration. Trainees who can explore virtual environments with their own eyes and (digital) hands are less likely to get bored and have a better chance of retaining what they’ve learnt. Memory recall with immersive VR training can be up to 300% higher than with traditional training. Because VR training engages multiple senses and makes the user feel they are present in a particular situation, it can evoke an emotional reaction. The Marshall School of Business uses a VR training program to help students explore unconscious bias by simulating a recruitment process and allowing them to experience the impact of bias for themselves. The immersive nature of the exercise means students are emotionally engaged in the experience, without the difficulties involved in discussing unconscious bias with a real person. VR-based training is highly efficient as it removes the costs of traditional training such as venue hire, travel, consultant fees, or simply time spent away from work. Sessions can be delivered remotely by mentors or using software housed within a shared platform. The technology is also a practical way to overcome other barriers associated with traditional training. Dr Shafi Ahmed, a surgeon at St Bartholomew’s hospital, uses VR to live stream surgical procedures with a 360 degree perspective. This allows him to personally train surgeons all around the world during real procedures without the challenges associated with physically having them in the operating theatre with him. VR is increasingly being used to train military personnel in the use of equipment such as submarines, aircraft, and naval ships which aren’t readily available or accessible for on-the-job training. Finally, the visual and practical nature of VR training helps to overcome language barriers, and makes it suitable for individuals with different learning styles. While VR might not be taking off in the way it was expected to, these use cases illustrate the technology has found a real purpose in training. By allowing trainees to learn and make mistakes in a realistic yet risk-free environment, by providing memorable, immersive experiences that evoke emotion, and by overcoming the practical barriers associated with traditional education, VR is beginning to prove its worth as a valuable training tool. Moreover, advancements in wireless headsets together with falling hardware costs should lead to wider adoption. 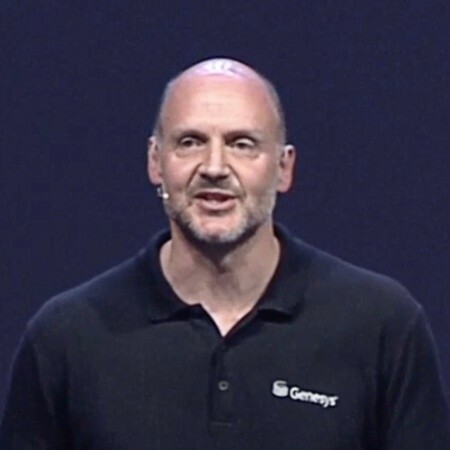 David Henderson is Chief Technology Officer at Global. Home to some of the UK’s best-loved radio stations such as Heart, Capital and Classic FM, to name a few, we keep 25.2 million listeners tuned in and entertained each week. And that’s just for starters; we’re one of the leading Outdoor advertising companies in the UK, having recently acquired Primesight and Outdoor plus. With over 35,000 sites covering 95% of the UK population, Global Outdoor packs a punch! 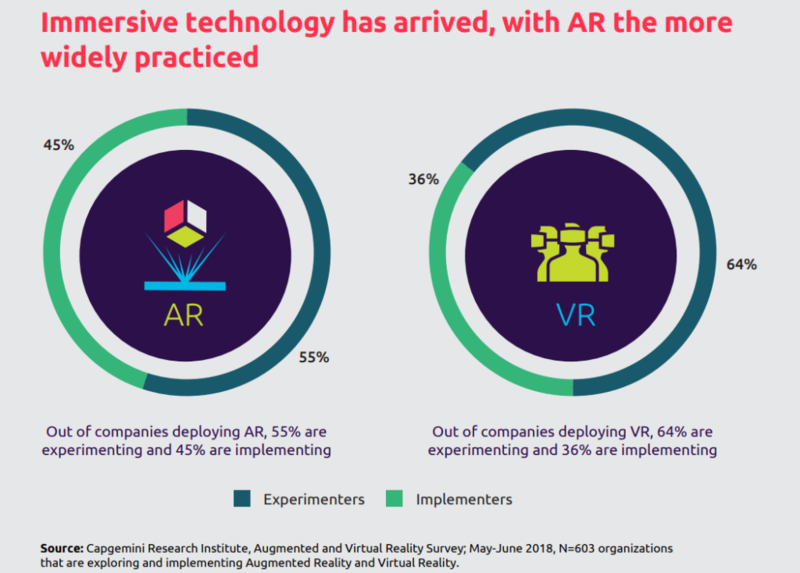 The “Augmented and Virtual Reality in Operations: A guide for investment” study, released by Capgemini Research Institute, surveyed more than 700 executives familiar with their companies’ VR and AR efforts in the manufacturing, automotive, and utilities sectors. It found that 50 percent of organizations not currently implementing VR and AR are planning on exploring their options within the next three years. 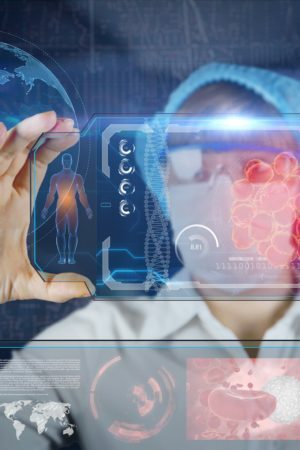 Initiatives cited include using VR to help train employees and using AR, combined with handheld or wearable devices, to provide real-time access to experts. Although the survey revealed interest in both VR and AR, organizations believe AR will be the more beneficial technology, despite its increased complexity. AR can generated a more streamlined workflow, according to those surveyed, with respondents pointing to examples including Porsche’s use of AR glasses that provide both detailed diagrams and step-by-step instructions. Furthermore, experts at Porsche can see what their technicians are looking at, enabling remote expertise to aid in an array of tasks. According to Porsche, these advances can reduce service time by up to 40 percent. Companies are also bringing AR solutions online at a faster rate; 45 percent of companies interested in AR are already deploying the technology, compared to 36 percent of companies aiming to implement VR. 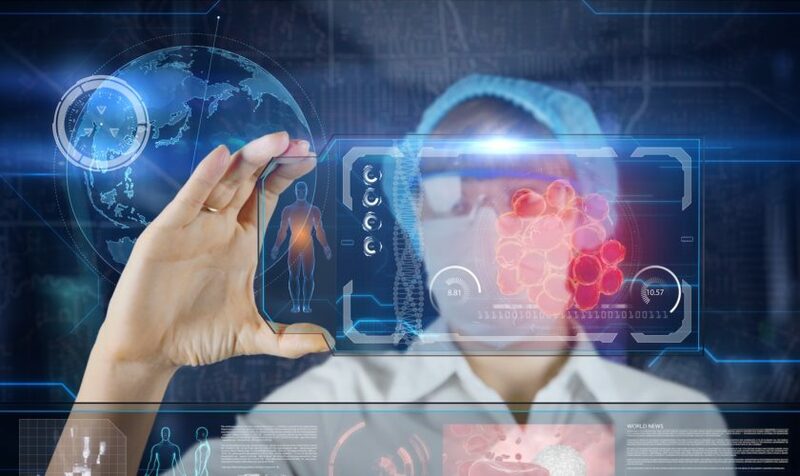 Although VR and AR technologies are expected to be used throughout a wide range of fields, some areas are already seeing high levels of implementation. According to the survey, 31 percent of companies are using VR or AR to consult digital reference materials. 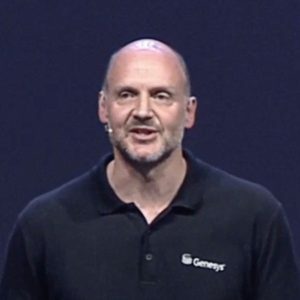 Thirty percent are using it to connect users with remote experts, and 30 percent are using it to view components digitally. Twenty-nine percent are using it to superimpose step-by-step instructions on workstations. Between 26 and 28 percent of companies are using VR or AR for design and assembly tasks including overlaying design components onto existing modules, visualizing infrastructure from various angles, and simulating product performance in extreme conditions. Safety is a goal of VR and AR as well, with the report citing Ford’s use of VR to capture body motion sensors to improve operations, leading to a 90 percent drop in ergonomic problems and a 70 percent reduction in injuries during assembly. The report outlined four factors common among the top 16 percent of VR and AR adopters. 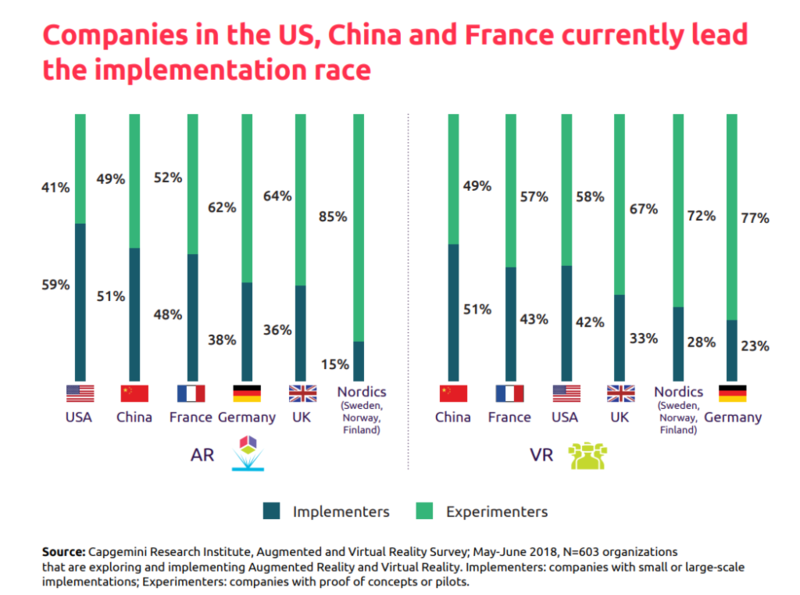 To replicate the success of these early achievers, the report suggests companies provide a centralized governance model to increase VR and AR awareness. Companies also should invest in agile, in-house teams of experts to better craft and implement solutions. 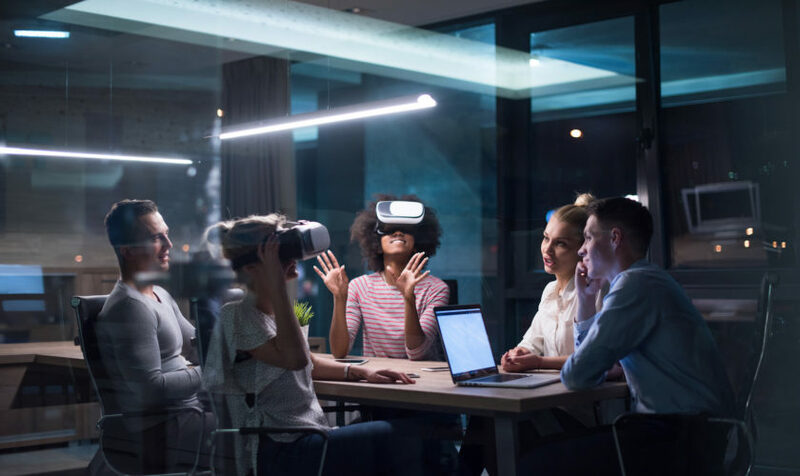 Finding the right use cases was critical, and companies can improve their adoption rates by focusing on the most valuable uses of VR and AR and supporting employees during the adoption phase. Finally, companies need to invest in infrastructure capable of handling VR and AR technologies, as older systems might lack the flexibility and robustness required for a successful roll-out. It should be noted that VR and AR adoption varies geographically, with more than 50 percent of surveyed companies in the United States and China already rolling out VR and AR initiatives. In the United Kingdom, France, Germany, and Nordic countries, more that 50 percent of companies are still in the experimental phase. 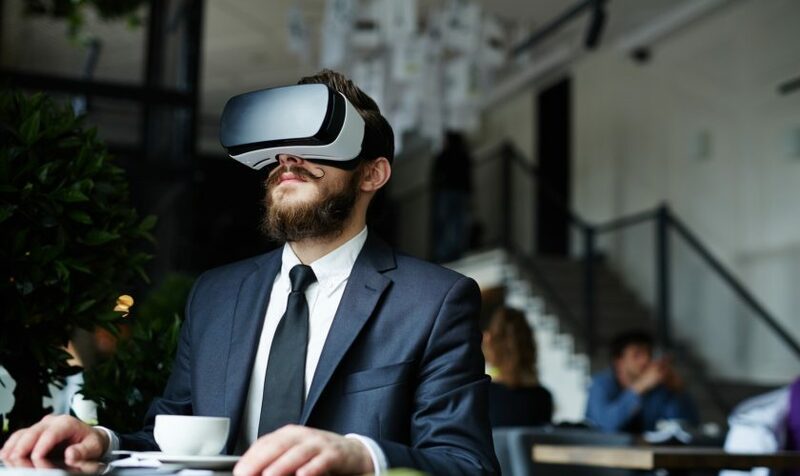 Although games and educational tools will prove to be major parts of VR and AR, the business field stands to benefit as well, and offices in the future might look very different than those of today. Here are some of the ways VR and AR technology could find its way into corporate environments in the coming years. Although videos can provide useful information when training employees, hands-on training, sometimes extensive, is needed in many fields. Because training typically involves paid trainers, the process represents a major component of onboarding new employees. 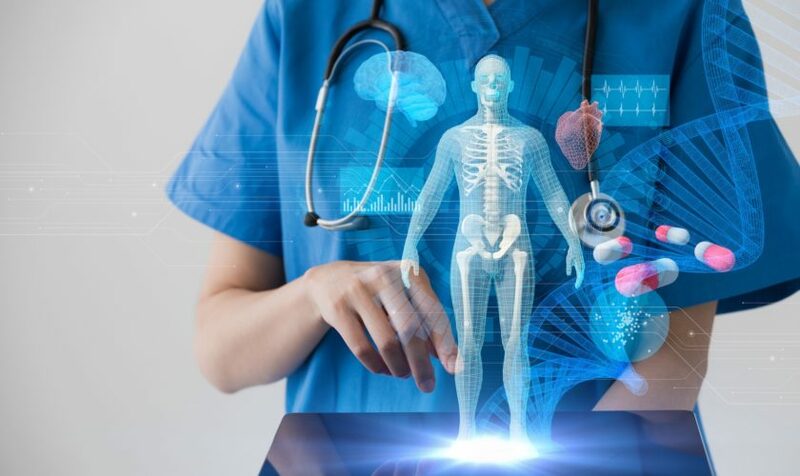 Interactive VR and AR applications provide employees with interactive experiences similar to those of personal training, and training programs can reduce the cost of getting employees up and running. Some human interaction will still be needed in most cases, but the one-time cost of developing a training program will be well worth the investment. Despite how much workers rely on computers and other digital devices, the office desk is still difficult to replace, as the large size of desks provides ample storage space for documents and other items. Augmented and even virtual reality can provide a similar experience by offering a larger field of view than monitors can provide. Furthermore, the visual depth VR and AR simulate can help people identify items at a glance. Soon, the office desk might be more of a hollographic concept than a physical one. Pictures and text go far when selling products, but nothing can be the in-person experience. VR and AR, however, might be able to come close. Letting potential buyers see and interact with a realistic simulation of products should prove to be a powerful selling point, and companies able to capitalize on this technology can gain an edge. Furthermore, virtual reality platforms that allow competitors to present virtual interfaces can become popular advertising platforms in the future. Telecommuting is already gaining momentum, as the convenience and reduced cost make it compelling. While video teleconferences work in many situations, they don’t quite match the appeal of in-person meetings. VR can provide a more lifelike experience, potentially letting companies cut back on expensive travel for in-person meetings. Morning huddles and other mainstays of business might be replaceable as VR advances. Employees, especially those who interact with clients and customers, need information as quickly as possible, as delays in retrieving information can be frustrating. Augmented reality can provide an easy interface for employees to retrieve information at a glance, whether they’re in the office or away. 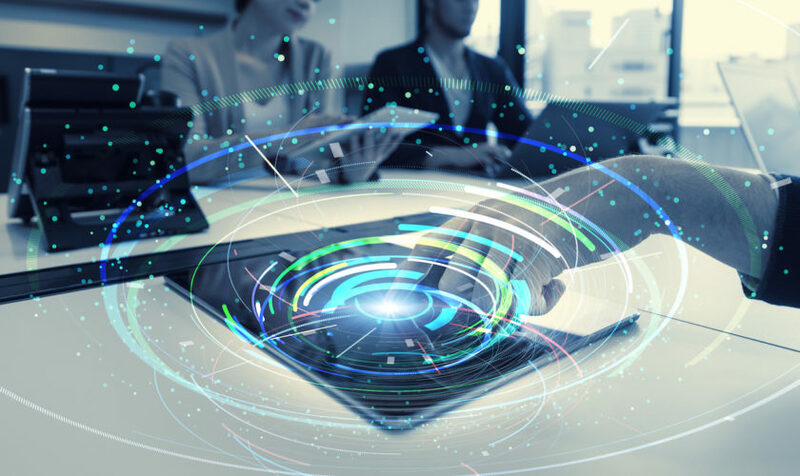 One example of how AR can change employee interaction comes in automatic translation tools, which can enable employees to talk with those who speak languages in a seamless manner. Virtual reality and augmented reality aren’t new concepts, but technology is finally catching up and making it a reality. While predicting what VR and AR will create in the future is impossible, there’s no doubt it’s going to play a significant role in many business fields. During the company’s fourth-quarter earnings call with analysts, he said, “AR is going to change everything.” He was not exaggerating. Augmented reality (AR) is re-shaping our use of technology. , Consider how quickly we have moved from typing on PC keyboards, to the smartphone’s tap and swipe and on to simply using voice commands to ask Alexa or Siri to answer our questions and help us get things done. 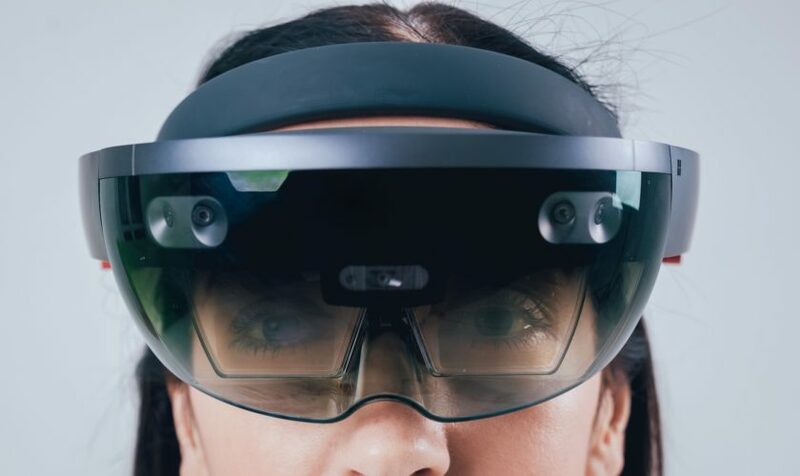 Now AR brings us to the age of holographic computing, providing a captivating, futuristic user interface alongside animojies, Pokémon and face filters. 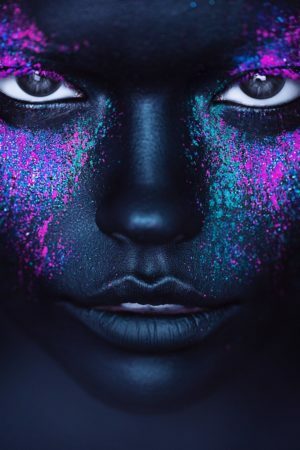 Whereas textbook holography is generated by lasers, holographic computing is coming to us now through our the mobile devices in the palm of our hands. As a result, we are now witnessing a surge in the use of hologram-like 3D – and to Cook’s point, it will completely change how we interact with businesses and each other. The evidence is everywhere. The release of Apple’s iOS11 puts AR into the hands of over 400 million consumers. The new iPhoneX is purposely designed to deliver enhanced AR experiences with 3D cameras and “Bionic” processors. Google, meanwhile recently launched the Poly platform for finding and distributing virtual and augmented reality objects, while Amazon released Sumerian to facilitate creation of realistic virtual environments in the cloud. We are also in the midst of an AR-native content creation movement, with a steady stream of AR features coming from Facebook, Snapchat, Instagram, and other tech players. The instantly engaging user experiences of 3D are obviously attractive for gaming and entertainment, but are capable of so much more, particularly in the training and customer-experience sectors where the technology is already making substantial in-roads. In training, holography is useful for virtual hands-on guidance to explain a process, complete a form or orient a user. It also can effectively simulate real-life scenarios such as sales interactions or emergencies. Holographic computing interfaces add new dimensions to traditional instruction methods. AR enhancements can be overlaid for greater depth and variety in information presentation, such as floating text bubbles to provide detail about a particular physical object. They can generate chronological procedure-mapping for performing a task, or virtual arrows pointing to the correct button to push on a console. There are countless opportunities for adding more digital information to almost anything within range of a phone camera. Why should staff travel to a classroom if an interactive, immersive 3D presentation can be launched on any desk, wall, or floor and “experienced” through the screen in the user’s hand? And unlike passively watching video, holographic interfaces add an extra experiential element to the training process. As a result, users can more readily contextualise what they are learning. In customer experience, consumers are using AR and holographic computing for self-selection, self-service, and self-help. And it will not be long before the range of uses expands. IKEA’s AR app, for example, lets a customer point a phone at their dining room to see how a new table will look in the space. Taking this further, it should be possible to point the phone at the delivery box in order to be holographically guided through the assembly process when the table is delivered. Holographic computing will also emerge as the preferred means for obtaining product information and interacting with service agents. Walk-throughs of hotel rooms and holiday destinations with a 3D virtual tour guide, travel planner or salesperson are also not too far away. There are other appealing use cases, of course. And as adoption and implementation spread, there will be many instances where this new user interface is preferable and will quickly become standard. Along with the Apples, Googles and Facebooks of this world, there are a number of new entrants to the AR arena. The sheer amount of money being thrown at speedy development shows that the ultimate nature of the holographic user interface is up for grabs. Will it remain phone-based or involve glasses? Will it shift to desktop or evolve beyond our current hardware, to be integrated into on-eye projection technology? Or will it be all of the above – who can say? 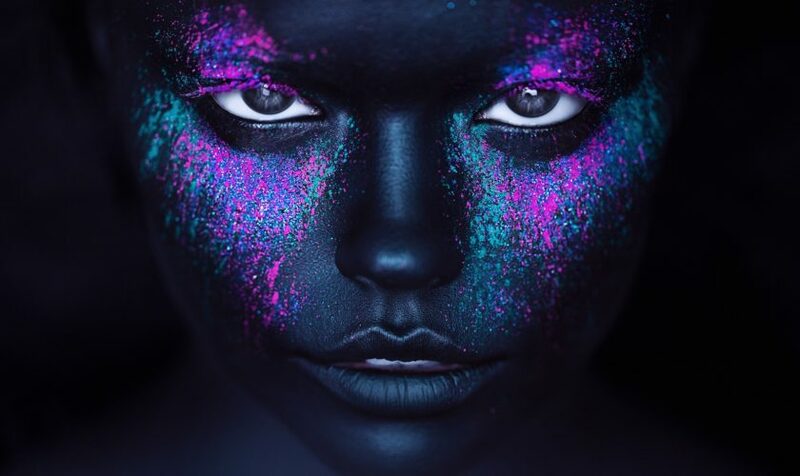 The one certainty is that significant brain-power is being invested by companies of all types in the development and application of this emerging technology. The increased dispersal of AR experiences in all their incarnations, combined with the mounting accessibility afforded by our smartphones, will drive mass-adoption and widespread affinity for the holographic interface. Virtual reality and augmented reality provide experiences impossible with typical computers and smart devices, and their falling cost means they’re going to become prevalent in the coming years. Although games and educational tools will prove to be major parts of VR and AR, the business field stands to benefit as well, and offices in the future might look very different than those of today. Here are some of the ways VR and AR technology will find its way into commercial operations in the coming years. Despite how much workers rely on computers and other digital devices, the office desk is still difficult to replace, as the large size of desks provides ample storage space for documents and other items. Augmented and even virtual reality can provide a similar experience by offering a larger field of view than monitors can provide. Furthermore, the visual depth VR and AR simulate can help people identify items at a glance. Soon, the office desk might be more of a virtual concept than a physical one. 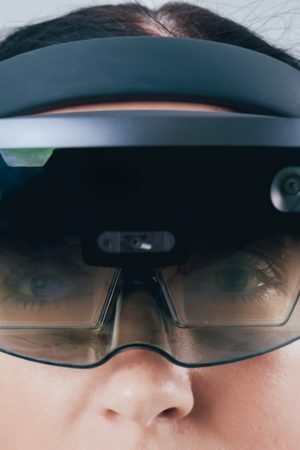 Spending on Augmented Reality technologies will reach $60 billion in 2020 according to Michael Porter and James E. Heppelmann in their Guide to AR in the Harvard Business Review. This represents a lucrative market, as Europe has many strengths in research, engineering, training, and creativity that will allow it to play an active role in the global rise of this technology. But doing so will require an open ecosystem where new trail-blazing services can be developed. 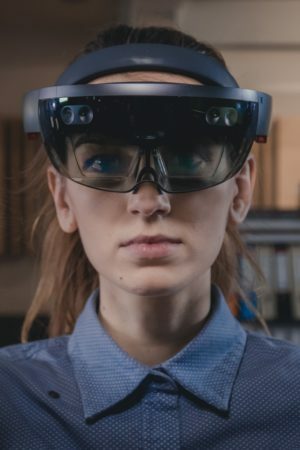 An Industry Specification Group with b<>com, Fraunhofer HHI, the CEA and Institut Mines Telecom as founding members was launched at ETSI last December to define an interoperability framework for augmented reality applications. Industrials are starting to join the effort with Siemens as a new member and actors like Bosch, Technicolor and Orange contributing to the discussions while considering joining. The focus on interoperability will benefit both technology providers and end-users. 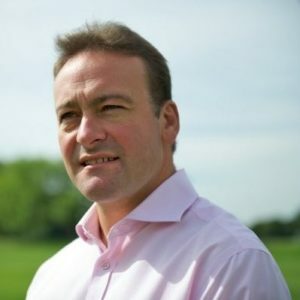 b<>com CEO Bertrand Guilbaud believes the European market “boasts a diverse range of skills and know-how”. These are nascent industries, so the industrial ecosystems are not yet in place. Now is the time for us to build them in order to unleash the potential in all fields of work and enable the birth of a strong European industry. ”We must facilitate market access for European technology suppliers to enable them to compete globally and take full advantage of this sector. Augmented reality (AR) is the ability to mix spatially calibrated digital content with the real world, in real time. Automotive, media, telecom, health care and retail: There are few industries that aren’t exploring the technology. And partnerships between businesses and tech suppliers are proliferating. 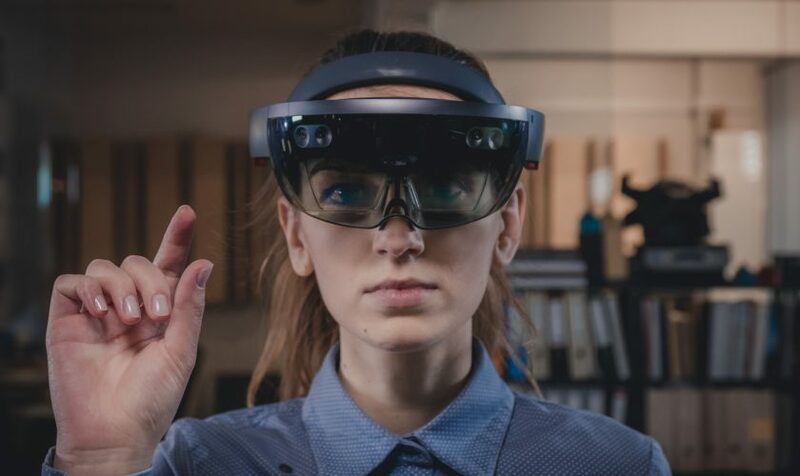 The latest example in France is Hôpital Avicenne in Bobigny, which hosted of one of the first surgical procedures carried out via Microsoft’s HoloLens and TeraRecon’s Holoporta mixed-reality collaborative platform. b<>com is a European research institute with over 230 researchers who develop tools, products, and services that aim to make everyday life easier. They chair ETSI’s industrial specifications group, the ISG ARF. It acts as a European standards body, developing world class standards for global use, specifically in augmented reality technologies. “Participating in the global structuring of new industrial ecosystems in digital sectors is one of b<>com’s most important missions,” adds Guilbaud. Collaboration on technology projects between Europe’s leaders in the field like the Fraunhofer institutes and France’s CEA, allows us to compete with the largest players either directly or indirectly, and thereby develop a European economy. Could VR Help Us Prepare to Colonize Mars? Concrete plans for sending humans to Mars haven’t yet been set but multiple projects, including the Dutch Mars One initiative are already building momentum. Although the systems that could take people to Mars will obviously be more advanced than trips to the moon, any journey will still present challenges moon-bound astronauts didn’t have to face. Astronauts took about three days to make it to the moon. By comparison, travelers will take closer to six weeks to make it to Mars even planetary alignment is perfect. 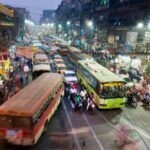 While en route, travelers will need to endure cramped quarters, difficulty with sleep cycles, and having to get along with others. Virtual reality can show travelers what the journey will look like, making it feel more comfortable when they finally embark. How will humans adapt to an alien world for an extended period of time? Except for relatively short trips to the moon, no research exists. Experience in a VR simulation could help travelers prepare, and it can provide valuable feedback for researchers and those planning the mission. Today’s virtual reality technology has advanced tremendously, and future advances will make the gap between virtual reality and the real world even smaller. HP, NVIDIA and their partners are hoping bridge the gap with their new Mars Home Planet simulation. The global project will simulate what a Mars colony could look like with a human population of 1 million in the near future. “We have our sights set on Mars,” says HP’s VP of product management for workstations Josh Peterson. 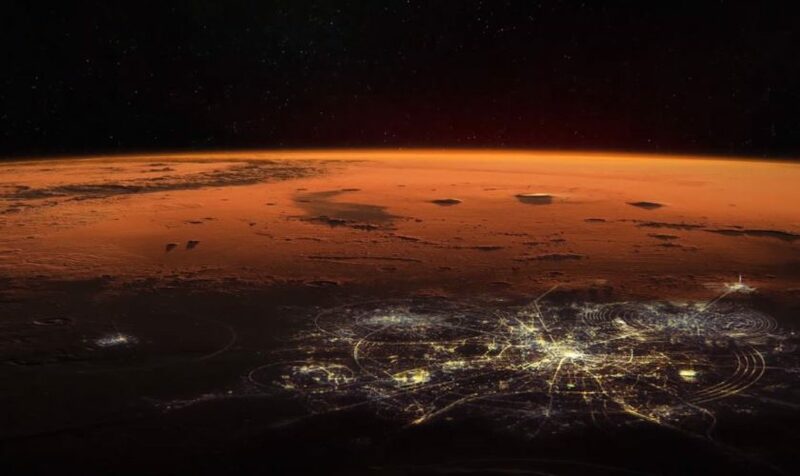 Through HP and partner technology, we are unleashing engineers, architects, designers and students to help anticipate and solve the real world problems we’ll face to inhabit Mars one day. HP’s involvement in the Mars Home Planet project comes hot off the heels of its newly announced VR strategy and recently launched HP Z VR Backpack. Powered by its Z-series workstation technology, the HP Z Backpack is a first of it’s kind as it allows people to experience VR completely untethered, giving users complete freedom to roam and creating a much more immersive experience. We recently met HP’s Gwen Coble to talk about the launch and the Mars Home Planet Simulation. The backpack includes an NVIDIA Quadro P5200 GPU, making it the first mobile solution to pack a workstation-level graphics card. It also comes with a docking station that switches the device to a high-powered workstation, letting VR content creators transition between design and testing in seconds. 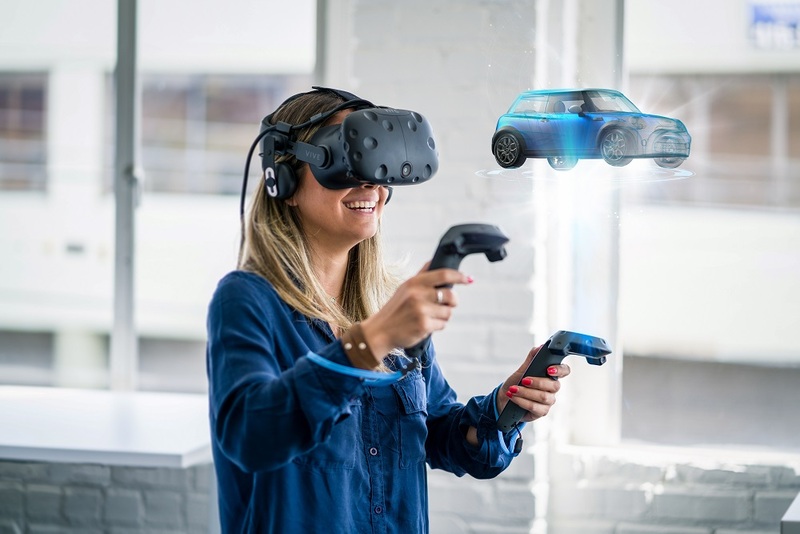 These features illustrate HP’s intent to set the HP Z VR Backpack apart from other devices available as they lend well to the use of VR in business settings like engineering and design. Sean Young, HP’s Worldwide Segment Manager, Product Development & AE gave us a demo. Traveling to Mars remains a distant dream for people interested in expanding the reach of the human race. However, virtual reality now offers us all a very real and immersive way to experience the red planet. Budding explorers can sign up for Mars Home Planet here. As screen resolutions, low-cost graphical processing, and consumer-targeted devices continue to improve, VR is going to find its way into more and more homes. As with any burgeoning technology, however, predicting the precise impact of VR is difficult, and consumers and businesses will eventually decide its overall impact. However, it’s fair to assume the impact on the media and entertainment industries will be large. Here are eight ways VR could reshape the media and entertainment industries. Whether televisions programs and movies are going to be fully available in virtual reality remains to be seen. Already, however, media companies are using VR to create compelling supplemental material, building brand recognition and keeping fans engaged. Fans interested in the environment that hosts their favorite television program or movie can use VR to become virtual guests. In an era when companies seek to building cinematic universes, VR can serve as a compelling supplement. Perhaps the biggest drawback of VR technology is the effort it requires. While it’s easy to look at or away from screens and televisions, contemporary VR technology requires wearing a headset. Because of this, users can’t simply glance away from advertisements, meaning advertisements can be far more engaging than those in traditional media. Companies may need to exercise some restraint, however. VR often tracks head movement, and advertisers can even require users to look at particular parts of the advertisement before it ends. Striking the balance between engagement and annoyance will be critical for making VR advertising a success. Ever since the multimedia boom of the early 1990s, media companies have sought to combine video with gaming, and results have been mixed. However, the dream of interactive movies and video-based gaming might find a niche in virtual reality. The immersive nature of VR has the potential to hook people who have no interest in more traditional gaming experiences. Still, the challenge of making video into engaging gaming remains, but VR provides better interactive options than traditional gaming controllers and keyboards. The interactive nature of VR gives it potential beyond screen-based entertainment. Already, companies are exploring making educational programs that provide information in a more compelling manner. Television programs about astronomy, for example, might be better fits in the world of VR, where users can virtually navigate through the solar system and beyond. Instead of scrolling through information in a document, users can turn their heads in a virtual world to find information in a more natural manner. Virtual reality requires users’ full attention. 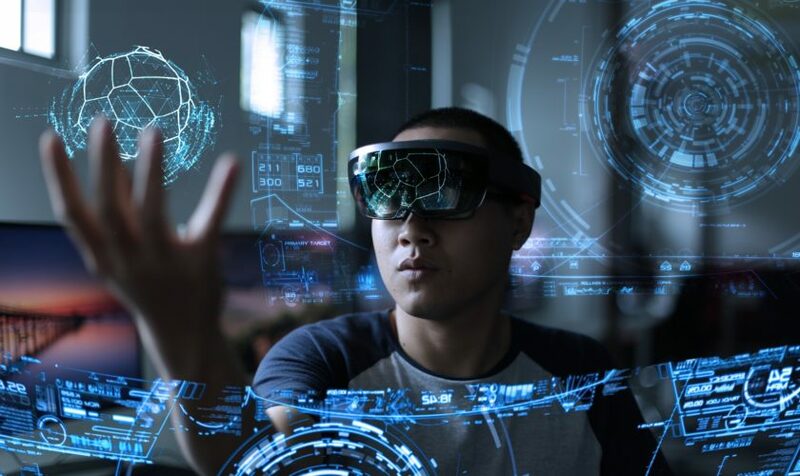 Augmented reality, on the other hand, is designed to provide information or interaction while keeping the user engaged in the world beyond the screen. The novelty of AR will make inroads in many business fields, but developing regular users will require providing real value. Advertisements can fuel profits if integrated in a natural manner, but companies may also consider subscription services, as most AR fields require companies to provide regular updates. When trying VR for the first time, many people are astounded by how engrossing the experience is. VR technology transports users into a new world, providing a level of detachment other types of media can’t match. Businesses will explore ways to make mundane tasks more tolerable; long plane flights, for example, might be easier to tolerate with a VR headset on. 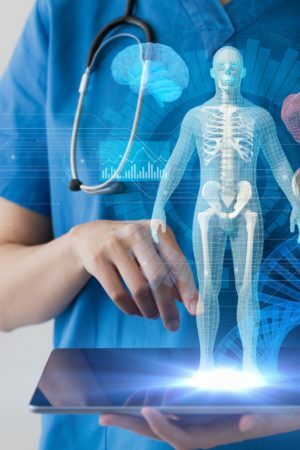 Certain medical procedures can benefit from VR technology as well, as patients might be better able to relax while enjoying VR content. It’s possible to learn many skills using books, video, and online resources. Other skills, however, demand a more interactive experience, and repetition can be essential. Through VR, companies can provide training not possible with other media. 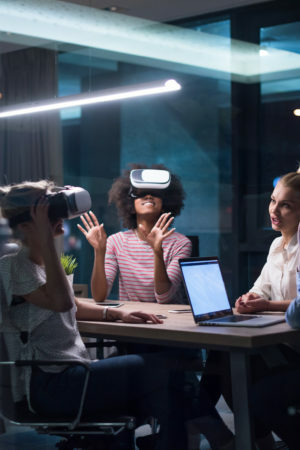 The labor required to train new employees on day-to-day tasks, for example, can be partially supplemented by VR technology. Drivers and those who operate machinery might find virtual reality to provide tremendous value. Already, airlines and militaries rely on virtual cockpits for training pilots. The more general-purpose design of VR headsets offers tremendous potential. Companies are already investing heavily into new VR technology, and investment will only ramp up as VR devices reach critical mass. With investment will come innovation, and it’s possible VR’s main driver will be an app of paradigm currently being developed in a small lab. Media giants will inevitably play a role, but it may well be a relatively unknown player entering the market that makes a real splash. Money is critical for tech development, but nothing can be the value of innovation, especially when combined with the low entry cost of distributing software. Anticipation for VR technology continues to grow as it becomes more affordable and more robust. Consumers stand to benefit from more engaging ways to enjoy media, and businesses can carve out exciting new ways to reach a growing market. While VR’s role in society isn’t yet clear, the technology is here to stay.